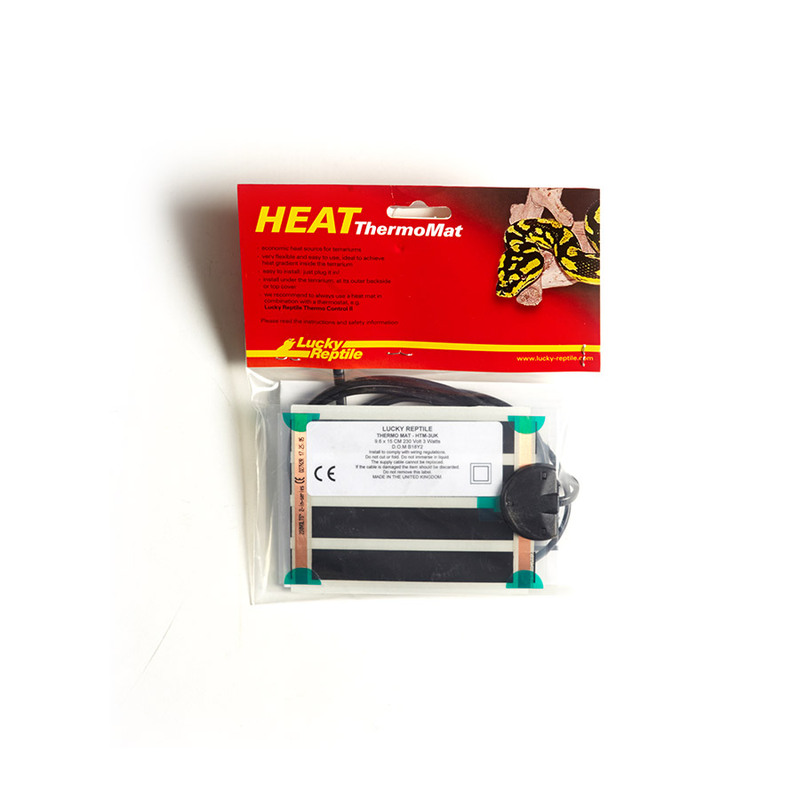 Like ceramic heat emitters the Lucky Reptile HEAT Thermo Mat emits infrared radiation which heats objects and also the animals from within. The heat mats have two advantages for the animals; first they heat objects, e.g. stones and create warm spots for the animals to heat up and second they heat the animals directly. The infrared radiation of the heat mat penetrates the skin of the animals and creates a cosy warmth. Your animals will love to be in the effective range of your heat mat. Thanks to the infrared radiation the Lucky Reptile HEAT Thermo Mat only has little influence on the air temperature inside your terrarium. These heat mats create warm spots and allow to achieve heat gradients inside the terrarium. As our Thermo Mats emit infrared radiation, you can also attach them to the side walls or the ceiling of the terrarium and not only the bottom. Installation is easy thanks to the adhesive tape on the back of the heat mat. The special design of the Thermo Mat allows for optimal heat transfer and reduces the risk of overheating and cracking the terrarium bottom which is common problem with normal heat mats.